the 2nd busiest suicide jump year in skyway history. 12.20.17, Raleigh, St Petersburg, (11:30am), Small blue unoccupied car on south span. 2 troopers and fore rescue. 12.13.17, Bev D., (12.12.17, 6:30pm, female), I was crossing the skyway northbound on 12.12 around 6:30pm or 6:45pm. Vehicle was parked with flashers, saw a woman walking to the top of the bridge. Called 911, was told they already had several calls. Saw 1st responders headed from St Pete south to the bridge. Unknown if responders got there in time. Do you know anything? 12.12.17, IONTBfb/iontb.com, Skyway Bridge: Watch for slowdowns after Pinellas Deputy successfully takes subject into custody. Reports that person was contemplating suicide. 12.06.17, Marty, Saint Pete, White Car at the southbound Skyway Bridge apex. Saw an abandoned white car around 9:40 this a.m. Traffic had slowed. Called 911 and told others had also reported. Said the LE had been dispatched. 12.06.17, Amandla, St. Petersburg, Saw the same white car on the top of the bridge at little after 9am. At that time there was someone sitting in the drivers seat. 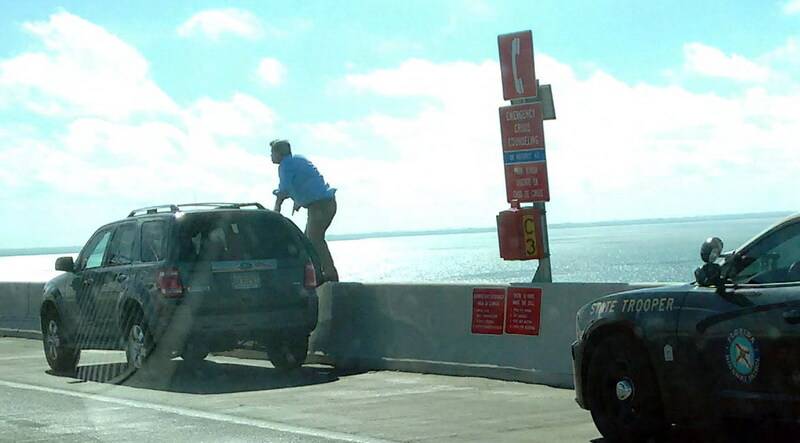 12.04.17, Bryan B., St.Pete., (7:00am), Car was parked near top of bridge on southbound side. There was one police car there with lights on. What looked like some kind of white canvas duffle bag was off to the side of the road. 12.04.17, Sherri H., Riverview, (7:30am), I saw a car parked near the hump on the southbound side. There was a Road Ranger behind the car and it looked like someone was sitting in the driver seat. It may have just been a vehicle issue. 11.24.17, Beverly L, facebook, Fox 13 is showing Police on Skyway looking down, they are saying Jumper. It was just on, I can't believe the traffic girl reported on this. 11.24.17, Patrick M., Was traveling northbound and saw car pulled over with emergency lights flashing at around 6:20am, about 100 yard from top of bridge, man in red polo shirt and dark pants got out and walked to the back of his car, didn't see anything else in my rear view as it was still too dark. 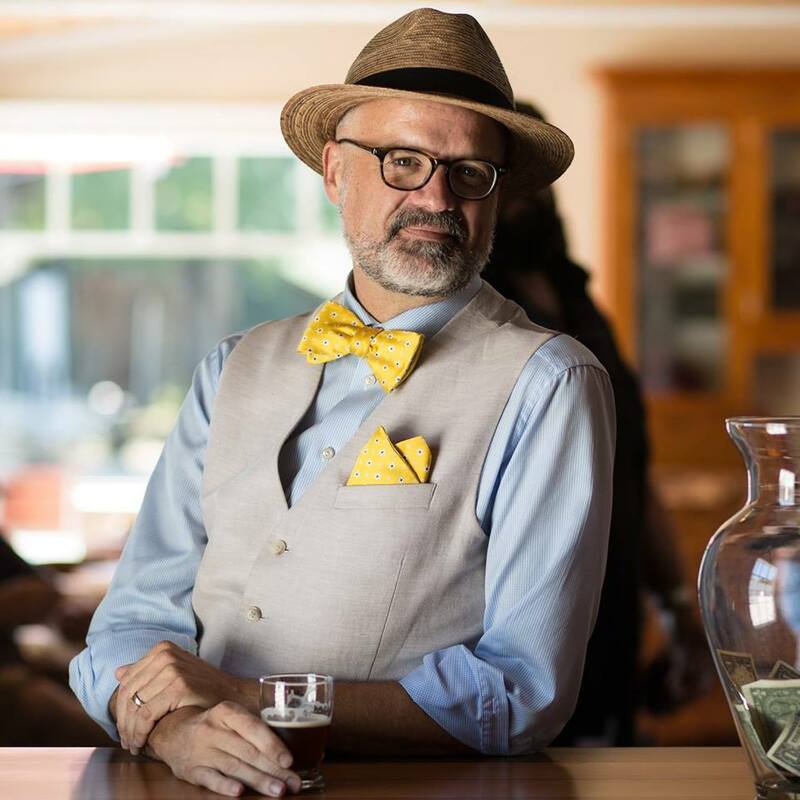 11.24.17, Patrick M., facebook comments plugin, We were going northbound at about 6:20am, saw a man pulled over about 100yards from the top of the bridge, it was dark, but could see he had a red polo shirt with horizontal stripes and dark pants get out of his dark colored car and walk around the rear of it as we passed him. Didn't see anything else in my rear view mirror. 11.24.17, IONTBfb/iontb.com, Skyway: Search by air, land, and sea for suspected jumper from the northbound lanes of the bridge. Disabled vehicle also reported in southbound lanes. Drive carefully and expect delays. The body of a deceased white male that appears to be in his 60s found Sunday morning in the area of Egmont Key could be a Cortez boater who has been missing since Nov. 17, according to the Florida Fish and Wildlife Conservation Commission. Egmont Key is the same area where Cortez resident Fraser Horne, 64, went missing on his boat on Nov. 17. 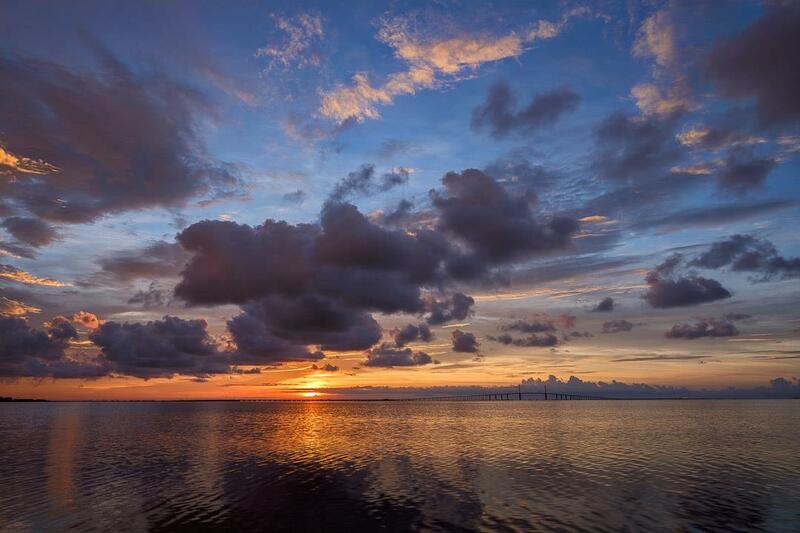 The FWC had not yet positively identified the body by Sunday night, said James Boogaerts, an FWC spokesman. FWC received a call from the United States Coast Guard at approximately 7:30 a.m. Sunday that the body was found by a good Samaritan, Boogaerts said. The Hillsborough County Sheriff’s Office aided FWC in the pick up and investigation of the body, according to an HCSO official. 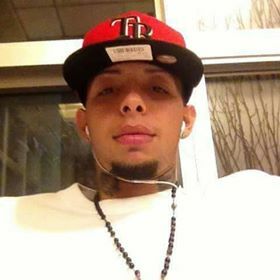 The U.S. Coast Guard had suspended the search for Horne on Nov. 19. Horne was reported missing around 6:15 p.m. Nov. 17 by his wife, Michele Horne, who told officials her husband left from Egmont Key on his boat but did not return on time. Horne’s 30-foot boat, “Golden Rush,” was found nearly five miles northwest of Bradenton, according to a tweet from the Coast Guard. Fraser’s dog, Toula, who was with him, was found alive on Nov. 17. The boat was in neutral, but the engine lights were left on. A wallet, keys and shoes were found by a Coast Guard rescue swimmer. Crews from the Hillsborough County Sheriff’s Office, Holmes Beach Police Department, Manatee County Sheriff’s Office, and Florida Fish and Wildlife Conservation Commission assisted in the original search. Search crews completed 32 search patterns of about 2,192 square miles over two days, according to a Coast Guard press release. Fraser is from Alberta, Canada, but he has a winter residence in Cortez. 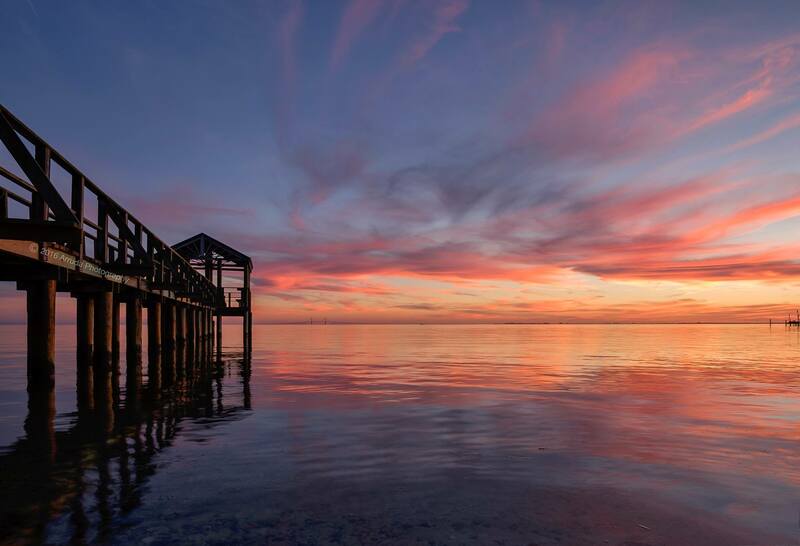 Officials have identified a man whose body was discovered near Egmont Key over the weekend. According to the Manatee County Sheriff’s Office, the man has been identified as William Robeysek, 64. 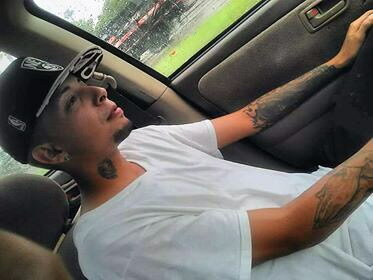 Deputies previously found his vehicle abandoned near the top of the bridge Nov. 24. Officials believe Robeysek, of Bradenton, jumped from the Sunshine Skyway Bridge. 11.14.17, Stephem, SAINT PETERSBURG, florida, Possible second jumper, Drove over bridge before flip over car accident. Man was outside undamaged looking minivan on northbound side. No warning light. Was yelling at a fire truck on the other span. Think i might have seen body fall out of rearview mirror. Perhaps the flip over crash is related to a witness. 11.14.17, Sherri H., (8:00am), I was driving North on the Skyway Bridge this morning just before 8:00. I got to the top and noticed flashing lights on the South side. There were 2 police cars and a Road Ranger behind an empty vehicle. It was a 2-seater convertible, possibly an older Mazda Miata. 11.14.17, BILL e., Riverview, Fl., Body recovered, 11/14/2017 16:10, Just heard HCSO Aviation unit talking to a boat that just loaded a body on board. later on, facebook, I think he jumped this morning or last night. Check Skyway jumper site. I heard HCSO chopper talking to the boat that recovered him. Chopper thought he hit the rocks (called Dolphins) that protect the bridge from another tanker disaster. Chopper did not find him @ time of jump. Body was recovered by a boat & i heard the conversation between chopper & boat as recovery was made around 2pm today. 11.14.17, IONTBfb/iontb.com, Skyway Bridge: Emergency personnel with abandon vehicle atop the bridge. Marine units searching the waters below. Southbound lanes later: Most land based unit going available. Call was dispatched at approximately 4:50 a.m.
Kayla W., facebook comments plugin, So tragic. His photography was inspiring. I painted a version of the first picture in this post yesterday. I battle depression and the urge to commit suicide almost daily. 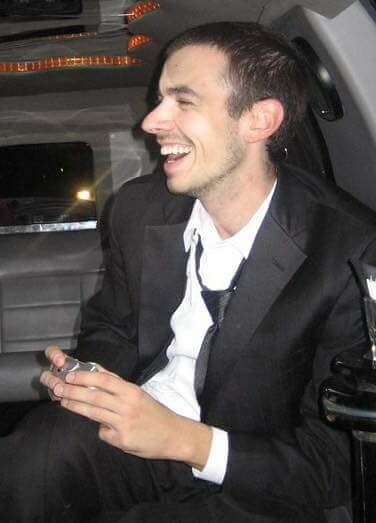 But even though I did not know this man, for some reason his suicide has affected me a great deal. I think it's unfortunate his photography page has been apparently taken down. The beauty of his photographs has somehow taken away the 'beauty suicide sometimes holds in my mind. RIP Tim Arruda. I am SO sorry your life became so terrible it was no longer enduring. I hope you have found peace. 11.11.17, Shena M., facebook, I don't see a post about today, but between 5 and 5:30 we were approaching the incline of the bridge and then all of a sudden the traffic just stopped to a crawl and after about 2 minutes we noticed that the cause was a car that was champagne and looked like a Mercury Milan with it's hazards on at just before the peek, no driver in sight. Do you have any info on this by any chance? Troy B., facebook comments plugin, I passed this car too, no one around and no law enforcement. The thing that struck me as odd was it was right in the middle of the lane. 10.09.17, Lisa P. G., facebook comments plugin, There was a white sedan, possible an older Camry w/ hazards on and windows rolled down. Passenger door ws open and appeared to be someone sitting in the passenger seat. This was just about midway up the 275S hump. Seems a strange place to park to jump as it's not near the apex or the emergency phone. Always possible it just broke down, altho the hood was not up. It was lightly sprinkling on that side of the bridge. Once you got over the top, it was pouring buckets. Idk which way the rain was heading, but I called it in to FHP at 6:34pm and I was the first to report it to them; however, it had already showed up as a "car on side of road" on my Waze app. 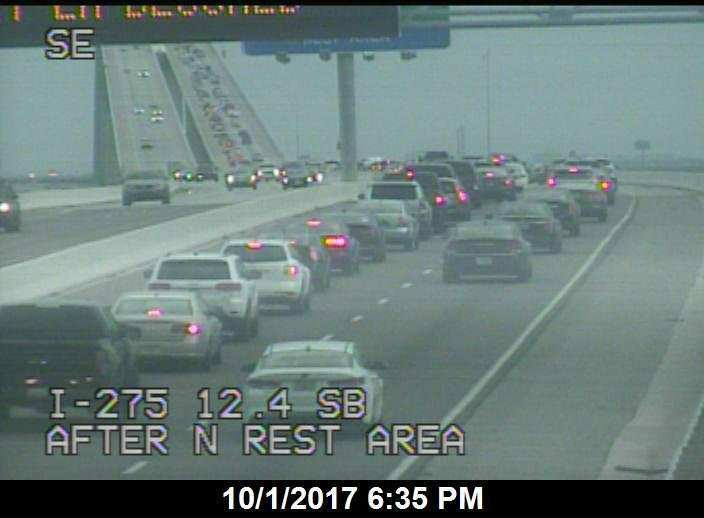 10.06.17, Commuter B., Bradenton, bridge activity both directions, Multiple patrol cars at the top of the bridge tonight on both Northbound and Southbound directions. I crossed around 9:00p.m. and thought I also saw an ambulance leaving no lights on. 10.06.17, Laura F., facebook, Came across about an hour ago. Car parked with cop car behind it on the Pinellas side of the hump. Cop had a guy on the ground, looked like holding him down or cuffing him. Saw 4 cops with sirens coming from Pinellas side headed southbound. I'm assuming they needed to come across to cut over to NB to assist. 10.01.17, Cynthia K., Palm Harbor, (6:00pm), Drove over the north bound span and saw all the emergency vehicles and officials looking over the south bound span with huge backups and saw the emergency boat headed towards the bridge. The jumper jumped from the south bound wall. 10.01.17, Chris J., Lakewood Ranch, Empty car with Highway Patrol on top of bridge. 10.01.17, Barbara H., facebook, Went over Skyway Bridge tonight around 6:40 and a lot of police activity and ambulance with an empty green older model Honda sedan with window rolled down and empty. Also saw saw rescue boats on the way out. Very dramatic scene with the stormy skies and choppy water. Praying for the person and their loved ones. Steven H., facebook, Not a jumper. Woman was seen walking on bridge. When not seen by FHP they suspected she jumped. She was picked up by another motorist and eventually ended back up at the vehicle. All FD units went available. 09.23.17, HillsboroughSheriff, On September 22, 2017 at approximately 10:00 pm, a gray Hyundai Sante Fe was found on top of the Skyway Bridge, with the keys inside the unlocked vehicle. The registered owner, Velma Dobbs was not located. Her identification was also found inside the vehicle. She was last seen leaving her residence at 2801 Trinidad Way in Palmetto, Florida at approximately 5:00 pm on the same date. She has not been seen or heard from since. She is considered missing endangered due to these circumstances and her recent attempt to harm herself a week ago. Anyone with any information reference her whereabouts is asked to call the Hillsborough County Sheriff's Office at 247-8200. Update: On September 23, 2017, at approximately 3:30 pm, a body was recovered by Florida Fish and Wildlife from the bay. On October 2, the Hillsborough County Medical Examiner positively identified the deceased as Velma Dobbs. 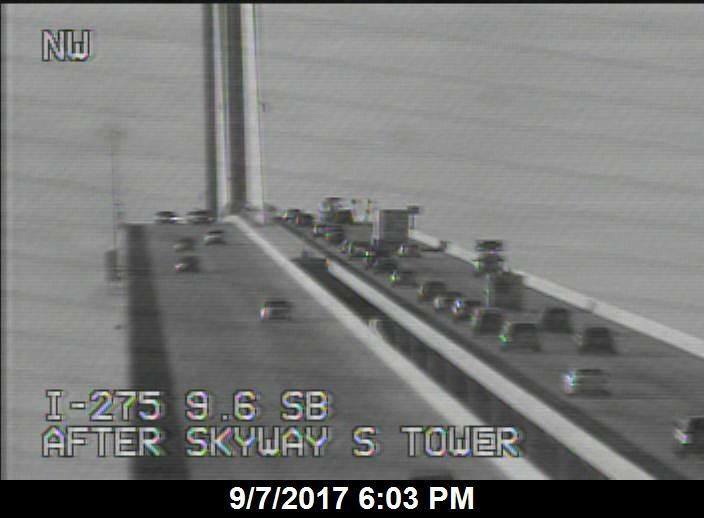 09.22.17, IONTBfb/iontb.com, Skyway Bridge: Crews are on, over, and under the bridge investigating an abandoned vehicle on the bridge since about 9pm. PALMETTO, Fla. (WFLA) – The Hillsborough County Sheriff’s Office has launched a search for a missing and endangered woman after finding her car empty on the Sunshine Skyway Bridge Friday night. Deputies say a gray Hyundai Santa Fe was found unlocked with the keys inside at the top of the Skyway Bridge around 10 p.m. The registered owner has been identified as 73-year-old Velma Dobbs and her identification was found inside the car. 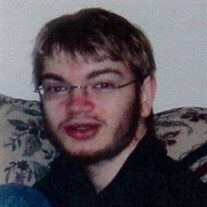 Deputies say Dobbs has not been located. 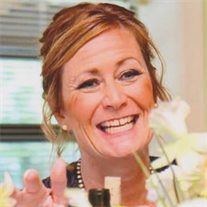 Dobbs was last seen leaving her home on Trinidad Way in Palmetto around 5 p.m. Friday, according to investigators. She has not been seen or heard from since. The sheriff’s office says she is considered missing and endangered due to the circumstances and a recent attempt to harm herself. Anyone with information is asked to call the sheriff’s office at 813-247-8200. 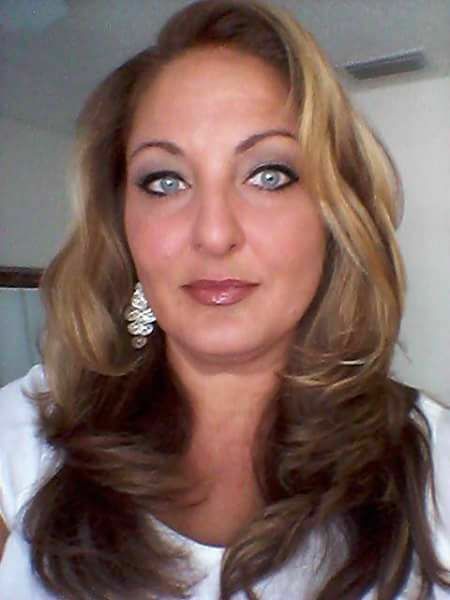 Tampa, Fla.-(Newsradio 970 WFLA)-The Hillsborough County Medical Examiner has identified a body pulled from Tampa Bay as a missing Palmetto woman. 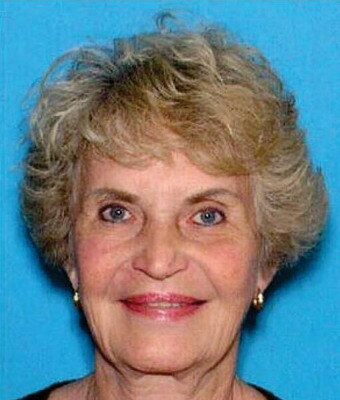 The body, found by Florida Fish and Wildlife, is that of 73 year-old Velma Jean Dobbs. Dobbs had been missing since September 22 after her gray Hyundai Santa Fe was found parked on the Sunshine Skyway Bridge. The vehicle was unlocked and her keys in the ignition. The body was found a day after the vehicle, but it took several weeks to get a positive identification. Investigators says Dobbs had been considered as missing and endangered after a recent attempt to harm herself. 09.22.17, JZ, Tampa, FL., (12:55pm, male), Saw an older gentleman with white hair parked at the top of the bridge. He was leaning over the edge and looking down. I called 911 to report a possible jumper. The state highway patrolman I spoke with said they could see the man on their cameras and were taking action to check on him. I am not sure if he jumped or not. By the time I realized what I had seen (which I initially assumed was just a disabled vehicle) I was already nearly over the bridge. 09.21.17, Brian M., Clermont, Florida, (11:00pm, female, hit water), I saw a young lady, she looked like she was in her teens leaning over looking at the water while I was driving home. She looked tired and as if she was crying but I had no time to stop and help before she jumped over. I'm unsure if she died on impacted or is being searched for. later: missing teen last seen looking over the bridge. Jumped before I was able to stop. I'm unsure if she is currently alive or not. She has short dirty blonde hair around the age of 15. Please if you know if she is okay please please please contact me. 09.19.17, anon, There was activity on the bridge NB at approximately 1200 on September 7th. Don’t know the details as we were prepping for Hurricane Irma. The usual were called for a jumper, FFWC USCG MCFD a few engines and patrol cars. Went over the bridge at 1500 and there was still one FHP trooper on center span NB. Not sure if it was a save or a jump. 06.06.18, Stephanie V.-G., facebook, This is true. One of the individuals was my cousin. He fell on the rocks and that’s the reason they couldn’t find his body. The other body was that of a female who went missing in March. He jumped August 12, 2017. What I want to know is how many more deaths does it take for someone to make changes to this damn bridge! This is sad. 08.31.17, A Friend, Cleveland, Ohio, regarding: One of the Bodies Found Yesterday, The body that was found yesterday I'm told was identified as Tom Letterle who jumped a few months ago. May he rest in peace. any more info/commentation is welcome. 08.12.17, Firebelly, St. Pete, Helicopter in the air. Bunch of red flashes on the bridge. Possible jumper? 08.12.17, Travis, Largo, FL., Possible Jumper, Empty vehicle at Northside of skyway just before the top headed southbound 3 cruisers and one u marked all lit up with cherries and berries at 5:40 a.m. later: While driving South just near the north side of top of bridge there were three police cruisers lit up as well as one unmarked Cruiser lit up and a possible dark green four-door sedan that appeared to be empty. 08.13.17, Deborah P., facebook, there's a post I saw on my timeline where a guys is missing and his car was parked on the skyway. 08.18.17, anon, St. Petersburg, Going over bridge at 2:00am and there were 4 or 5 police cars and an ambulance. I'm not sure if that means they were able to get the person to the hospital before they jumped or what. Due to other reports of authorities still being there hours later, I'm guessing not. 08.19.17, Gloria F., facebook, Incident on 8/12, His name is Miguel Rivera. he is the father to my friend's children. If anyone knows anything please let me know. 08.10.17, Elle, Palmetto, fl., I was heading south on the skyway bridge through a massive traffic jam. There were three police cars at the top of the bridge, with cops looking over the edge. There was also a police boat in the water. 08.10.17, Sherri H., (6:00pm ), I was stuck in a backup on the Skyway around 6pm on 8/10. I noticed the police boat speeding away with lights flashing and the police helicopter circling the water around the bridge. They both left the scene, so I am not sure what happened. By the time I made it to the top of the bridge, there was nothing there. Something happened, but I am not sure what it was. 08.08.17, BILL E., RIVERVIEW, FL., (7:15pm, died, body found), HILLSBOROUGH CO POLICE SCANNER body recovered by personal boat & turned over to Fb11 & then to O'Neills. 08.08.17, Lee, Tonight around 7:15 a woman jumped from the bridge, she was found by a boat that was fishing and taken back to an ambulance. 08.08.17, Lauren M., St. Petersburg, Florida, Jumper at skyway bridge, I was traveling nother bound on skyway bridge and seen a four door small dark blue SUV 2010-12 yr, parked on right side of the bridge. At 7:08 pm on Tuesday Aug 8 2017, a lady was peering over the bridge and then proceeded to climb over the ledge (sitting with feet hanging over the side). Immediately after she positioned her self to jump two trucks pulled over to try and save her. The lady was about 5'7 with gray short hair and a slender build. Possibly in her 50s. I seen HFP, fire truck and EMS where traveling south bound approximately 7:16. They where not going that fast. Maybe 15-20 miles over the speed limit. Does anyone know what happened? 08.09.17, Jay, St. Petersburg, Driving over the skyway yesterday 8/8 and there were 3 empty vehicles assuming 2 were witnesses of a jumper but I am thinking the blue Pacifica was the one with the jumper being that the other 2 vehicles were both behind it. Police were looking over on both sides and a cruise ship was passing at the time. Anyone hear about this!? 08.09.17, Andy S., St. Pete, Yesterday evening I say a lady behind her car on the top of Skyway Bridge. I slowed to help her and she stepped to the edge a looked over then she started to put her leg on edge. I pulled over and stopped in front of her car. She then put put her other leg on wall and sat there. I walked to the back of my truck then I asked her if she wanted to talk. She looked at me then jumped. She is in my prayers and I will never forget her face. If anyone knows her name please email me. 08.09.17, Andy S., St. Petersburg, (08.08.17, 6:30pm, female, no crisis phones, hit water, died, body found), I was the witness. I tried to help her and she jumped anyway. I will give details if needed. I was hoping someone knew her name. 08.11.17, Andy S., St. Petersburg, Her name is Lisa Allison Tito from Parrish Florida. I was able to speak to her family this afternoon. Apparently she was dealing with some depression and had been for awhile. Here is what happened. I was driving home from work north on the skyway bridge. I saw a car parked on the side of the bridge at the top and it's was traveling north as a lady got out walked around the rear of the vehicle and looked over the ledge. As I slowed she looked at me and put her right leg onto the ledge I immediately pulled over in front of her vehicle and stopped. I looked in my rearview mirror because I was parked in front of her and saw her put her left leg on the ledge I stepped out of my truck when I got to the rear of the truck to speak to her she looked me directly in the eyes and slid off the wall. If was frozen. When I looked over the wall I saw her come up floating facedown. Myself and another witness stayed with her to keep an an eye her as she floated out via the current. We were able to get the attention of two gentlemen fishing who went out and stayed with her until the sheriffs department arrived to recover her. As horrible as it is I feel that it's important for her family and everyone to know that we stayed with her the best we could until she was taken care of. Not only is she a wife, but a mother and grandmother. 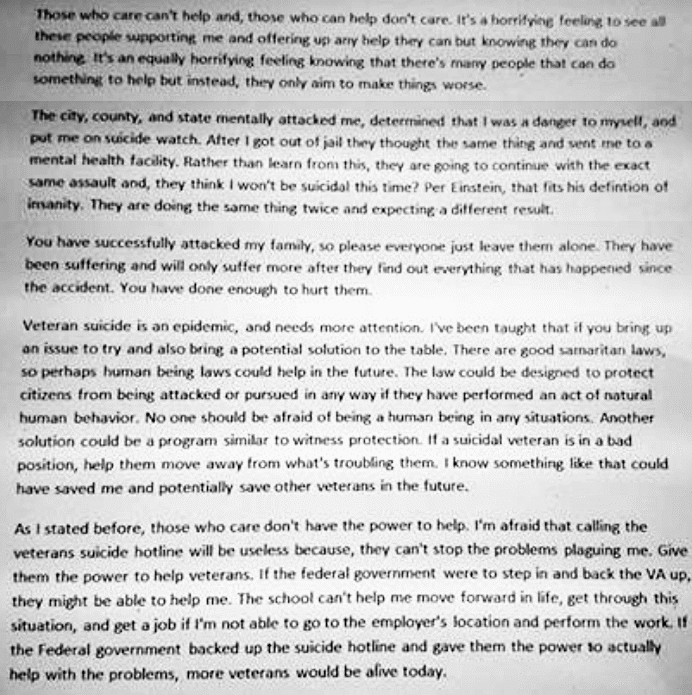 If you post this please remind all that throughout the top of the skyway bridge their are red call boxes, they give you access to a direct line to a counselor I don't know if it would help in this situation. My heart aches for her and her family. I wish there was something more that I could have done. Below is her obituary. Services are tomorrow. 08.10.17, Rick H., Saint Petersburg, (male, never jumped), Apparently this man doesn't really have a brain tumor, but according to his sister does suffer from depression, and did attempt to take his life the week prior leading up to this event. FHP Troopers were alerted to an incident at the north rest area of the Skyway Bridge on August 7, 2017, at approximately 8:32 p.m. According to Troopers, an adult male had been dropped off by an Uber driver at the south rest area just north of the Skyway Bridge. Concerned about the situation and safety of the passenger, the Uber driver notified law enforcement of the situation. After leaving the Uber driver, the adult male subject walked south from the rest area to the north fishing pier where FHP Troopers soon encountered the subject. The subject fled to the water nearby as Troopers attempted to converse with him. Despite commands from the Troopers to return, the subject continued into the water and submerged himself. Both FHP Troopers entered the water and retrieved the subject who was then unconscious. The Troopers provided CPR until relieved by responding EMS crews who later transported the subject to Bayfront Health St. Petersburg. The subject was reportedly revived and is now listed in stable condition. 08.07.17, wfla.com, ST. PETERSBURG, Fla. (WFLA) – Florida Highway Patrol troopers were involved in an incident near the Sunshine Skyway Bridge Monday night. FHP said a man was dropped off by an Uber driver at the south rest area just north of the Skyway Bridge. Concerned about the situation, the driver notified law enforcement. The man walked south from the rest area to the north fishing pier, where FHP troopers found him. As troopers talked to him, the man fled to the water nearby. Despite commands from troopers, the subject submerged himself. Both FHP troopers entered the water and retrieved the man, who was unconscious. The troopers provided CPR until EMS crews responded. The man was taken to Bayfront Medical Center where he is in stable condition. 08.08.17, tampabay.com, ST. PETERSBURG - Uber driver Chad Farley suspected something was wrong Monday night when a passenger asked to be dropped off in the middle of the Sunshine Skyway Bridge. There's no walkway for pedestrians along the iconic span, nowhere even to step safely at the top. Walking on the Skyway 200 feet above the water is something people do when they're contemplating a jump to their death, from the place that holds the grim distinction as Florida's top spot for suicide. So instead, Farley, an Uber driver for the past year, chatted up the passenger, learned he had brain cancer, prayed with the man, held his hand — even snapped a photo of them smiling together before dropping him off at the rest stop to the north of the bridge. Farley, 41, of Gulfport, told the man, who held up a peace sign in the photo, that he just wanted to remember what he looked like. What he really wanted was something to show authorities once he called 911. Farley's suspicions proved correct. His call brought state troopers who ended up rescuing the 28-year-old St. Petersburg man after he entered the water near the pier. Sgt. Steve Gaskins, spokesman for the Florida Highway Patrol, said the two troopers — Cpl. Robert Friesen and Trooper Kristen Middleton — "did an outstanding job." Gaskins also praised Farley for reaching out to authorities with his concerns about his troubled passenger. We're the ones trained to deal with people in these kinds of situations," Gaskins said. Uber, in a statement to the Times, said the company advises drivers to call 911 if faced with an urgent or emergency situation. "We deeply appreciate Mr. Farley's quick thinking and compassion for his rider," Uber said, "as well as law enforcement's fast response." The man was listed in critical but stable condition at Bayfront Medical Center on Tuesday, Gaskins said. The troopers were not injured. Farley described how the ride unfolded. "I picked him up from his house and he started the conversation, telling me he'd gotten the news from his doctor that he had brain cancer ... I told him about my mother, who passed from cancer. I asked him if he was in school and he said yes, that he wanted to be a counselor, that he wanted to help hopeless people. I commended him for that." But Farley grew concerned late into the ride when he realized the destination his passenger had entered into the Uber app was right in the center of the bridge — and the passenger provided an unbelievable explanation: He planned to call an ambulance from the bridge to take him to his doctor in Tampa, as ordered by the doctor. Farley said he stopped at a bridge toll booth and "made eye signals" to the attendant that "something was up with my passenger." After getting his passenger to repeat the strange story to workers there, a supervisor at the booth advised that he proceed to the safety of the rest area near the pier and use the phone there instead. Once there, driver and passenger resumed their conversation. The man assured Farley he wouldn't jump, "but I could tell he was lying." Photo taken, the man got out of the car around 8:30 p.m. and Farley called 911. He was asked to send over the photo. Later, he got a call back saying the man had been pulled from the water but was okay. "I don't know why anyone in their right mind would have dropped him off at the top of the bridge, but if he'd gotten up there, I think he'd be dead now," Farley said. The highway patrol provided this account of what happened in between. The troopers located the man and began talking to him, but he walked away and entered the water near a fishing pier entrance off southbound I-275. He ignored their pleas to return and submerged himself. The troopers removed gear and went underwater to search for him. After several minutes, they found him, unconscious, brought him the surface and administered CPR until medical responders arrived. Farley said he plans to visit the man in the hospital, and had called the highway patrol to find out his name. The Uber app erases that information once a dropoff is made. A leader at Community Bible Baptist Church, Farley said he treats his Uber driving as an extension of his ministry. "Riders open up to you about a lot of things you wouldn't expect them to tell strangers," he said. " I keep my church business card in the car. If someone is hurting, I give it to them." 08.05.17, Dylan, Saint Petersburg, August 4th, 2017: Fishing from shore near Skyway Bridge (6pm), when firetrucks came with sirens screaming and then positioned to block entrance to south-side bridge traffic. Many police on seen as well, waiting for other source of information to fill in the blanks. Hopefully not another tragedy! 08.02.17, Jamie A., Possible jumper, Tonight I was heading south on the skyway at approximately 1:40am. There were 2 troopers and a tow truck was just leaving the bridge span. It was an SUV. Not sure if anything happened..
08.03.17, CommuterB, Bradenton, Florida, regarding: bridge 08-02-2017 activity Northbound, At approximately 9:00-9:15 p.m., I was traveling Southbound over the Skyway, when I saw what appeared to be two vehicles parked just beyond the bridge peak with a group of at least four people standing by the vehicles, (near one of the help call phones perhaps?) on the North bound side of the bridge. I saw a State trooper arrive. As I continued Southbound I saw Emergency Response vehicles Northbound to include an Ambulance and a Fire Truck. I'm guessing, possible jumper with witnesses. video taken from the fishing pier. 07.10.17, Geneva J., IONTBfb, Northbound. Maroon truck. Newer. Maybe an extended cab if I remember correctly. We saw it last night too driving back to st Pete. 07.10.17, Jason H., facebook, Saw it. 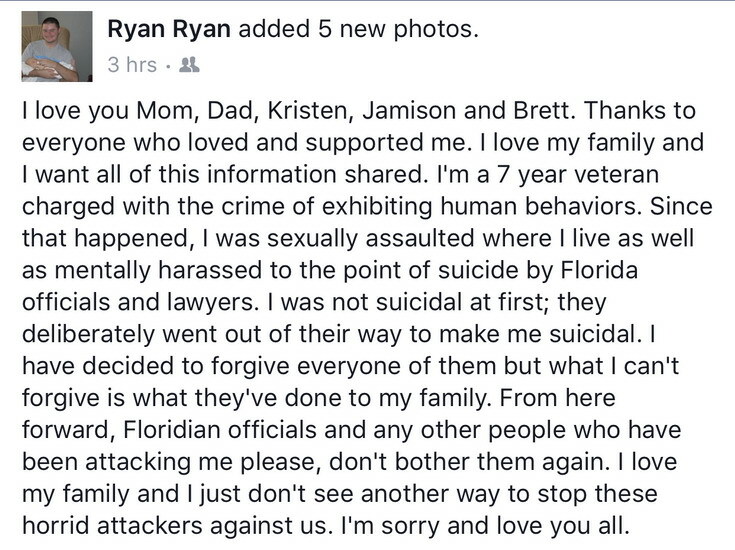 07.10.17, anon, This is the final post and suicide letter of Ryan Mogensen. 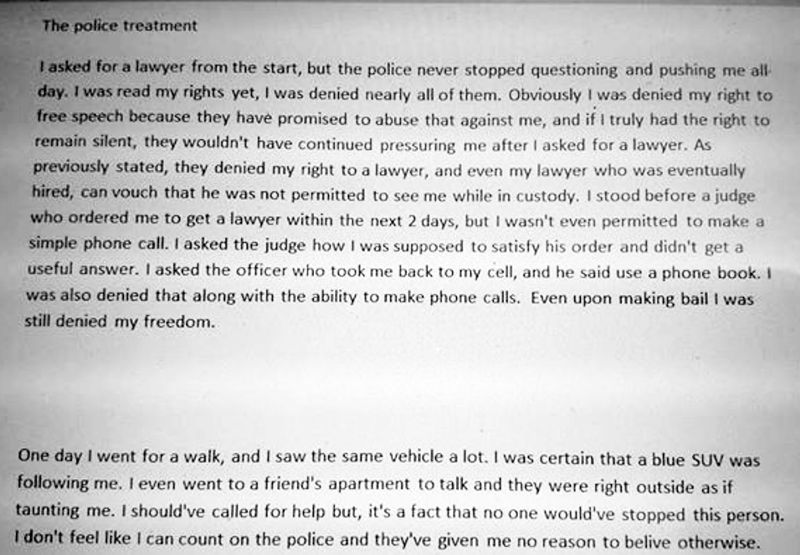 Please share so that people become aware of the poor handling by the pinellas park police, judges, and lawyers in his case. Ryan Mogensen was a good man who served over 7 years for his country, he made a horrible mistake and didn't deserve to end his life the way he did. these IONTB articles contain many very emotionally charged comments. 07.10.17, IONTBfb, Skyway Bridge: First responders still at the bridge following reports of a person jumping shortly after midnight later: Person jumped as fire rescue was responding. Not located immediately. Search became only a recovery operation and extended search initiated. Unsure if located yet. 07.13.17, IONTBfb, Yesterday morning at approximately 9:30 a.m. the body of an adult male was recovered from the water of Tampa Bay. 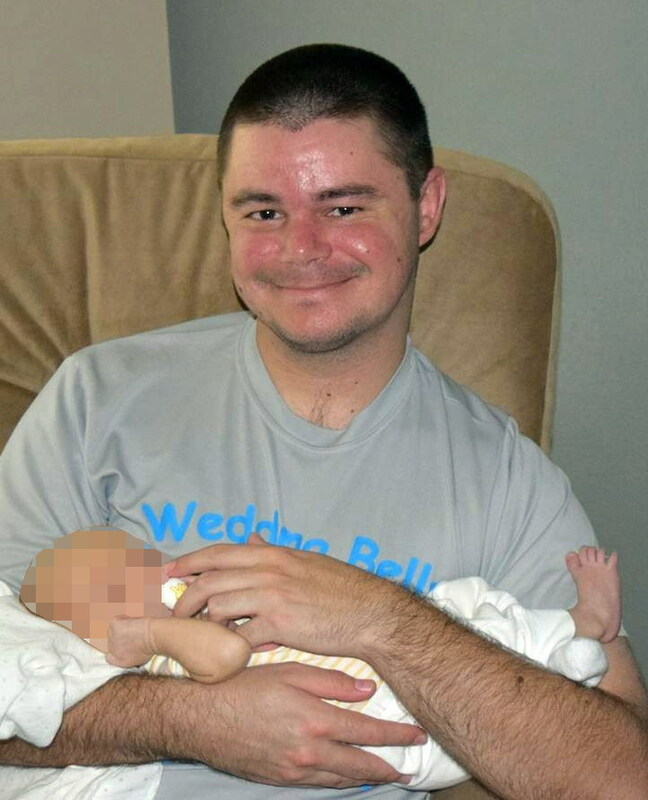 This morning the Hillsborough County Medical Examiner's Office was able to positively identify the deceased subject as being Ryan Andrew Mogensen. Mr. Mogensen's vehicle was located on top of the Skyway Bridge on July 10, 2017. 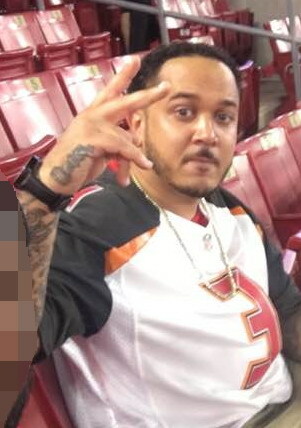 Police said a Pinellas Park man accused of a fatal hit-and-run committed suicide this week by jumping off the Sunshine Skyway Bridge. Twenty-eight-year-old Ryan Mogensen faced a criminal trial for leaving the scene of a crash involving death. Pinellas Park police confirmed Thursday that Mogensen parked his car at the top of the Skyway Bridge on Monday and jumped off. His body was found in the water on Wednesday. Authorities say Mogensen hit and killed 61-year-old John Ryan, who was riding on a Harley-Davidson motorcycle. The incident happened May 30. Mogensen took off from the scene, according to investigators, and tried to hide his damaged Corvette in his garage at a nearby apartment complex. Robert Yoho was friends with Ryan and says he read Mogensen's suicide note. "Not once did he show any remorse for what had happened about him hitting J.C. or whatever happened, and I just don't understand why he couldn't say he was sorry," Yoho said. "He didn't need to commit suicide. He just needed to stand up and face his punishment and move on." Sgt. Mike Lynch said Pinellas Park police haven't seen something like this happen anytime recently and called it a tragic situation. "We had a very good case," he said. "Our investigators worked very diligently and very hard to wrap up this particular case, and certainly the conclusion is not what certainly anybody ever wants." Yoho said he feels bad for both families. "J.C. is dearly missed and I'm sure that (Mogensen) is going to be missed by some of his friends and his family," he said. 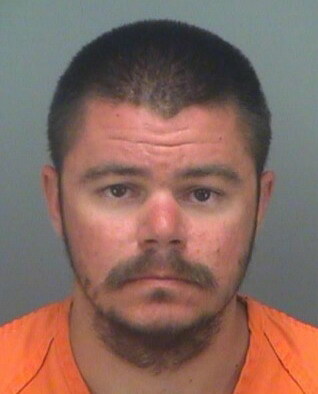 Mogensen posted a $100,000 bond last month and got out of the Pinellas jail. He had a pre-trial court hearing scheduled this week. Bay News 9 was unable to reach Mogensen's family for comment. 07.10.17, Imsosorry, I am so sorry. I heard my husband's friend and classmate jumped in the early morning hours of 7/10/2017. RIP Mogee A close Friend of mine jumped to her death off this bridge a few years ago. She left four beautiful children behind. 07.06.17, AdventureRobin, St Petersburg, Just went over bridge, police cars, firetruck and emergency crew on water. Does anyone know what has happened? 07.06.17, Andrew V., facebook, Skyway Jumper.....survived End route to O'neills Marina by boat. Bayflight end route to bring patient to Bayfront Medical Center. Pinellas 911 site shows all units @ scenes Grid 723s. 07.06.17, Mike H., Sarasota, Fl., (male), Drove over Skyway around 3:30 PM, noticed a chevy pickup truck parked on the north bound side with several police and highway patrol behind and cops looking over the edge of the bridge. Also could see patrol boats in the water. Assume a jumper? Any news? 07.06.17, Lindsey, St. Petersburg, I drove across the Skyway around 3:30. 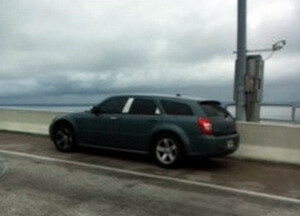 There was unusual traffic on the way up the bridge, heading from Bradenton to St. Pete. Once I reached the top, I noticed a police car and an empty gold Chevy truck with no one inside. People were looking over the side into the water and there was a helicopter. I hope the person is okay. 07.06.17, Lex, St Petersburg, I was among one of the boats that witnessed jumper approx 3pm and assisted in rescue, he was alive and responsive. Fire rescue met en route to O'Neils and took him in rest of the way. 07.07.17, Eric S., St Petersburg, 7/6/17 Crossing bridge northbound at 3:00pm. Saw pickup truck parked by side of road and a black man with white T shirt looking over wall. As I passed he climbed up on the wall and jumped off without hesitation. 06.26.17, Sally G., St Pete, (8:20am), Passed the empty car - silver or beige smaller Infiniti. FHP was just starting up hump as I approached the rest area. 06.26.17, D. M. T., Parrish, Fl., (8:45am, hit water), I was driving to work today and the FHP were on both sides of the skyway looking over the sides. There was a park grey sedan at the top with no one in it. 06.26.17, Sherri H., (8:29am), Hi, I took the attached picture this morning on the top of the Skyway heading north. 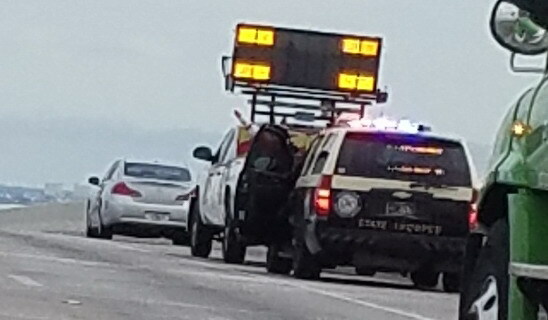 There was an empty car, a Road Ranger, and an FHP vehicle parked on the side of the road, and the Ranger was looking over the side of the bridge. At the bottom of the bridge, I saw a fire engine and more emergency vehicles heading to the bridge with their lights flashing. 06.26.17, CJ, Clearwater, White empty car with police vehicle on top of bridge. 06.26.17, Nichole L., facebook, Male jumper this morning. Body recovered. Deceased. 06.26.17, MB, St. Pete, I was stuck in traffic for about 20 minutes on the bridge this morning around 8:30 driving Southbound. Once I got to the top of the bridge, there were multiple police cars and a fire truck on both north and south bound sides of the bridge. I am hoping and praying no one jumped off the bridge this morning. I have had a pit in my stomach all morning. 06.26.17, anon, On my way to work at the Skyway Fishing Piers. Definate jumper. 1st responders and rescue efforts looking over the railing. 06.26.17, Aboona T., Sun City Center, (8:10am, male, died, body found), I was approximately 6 cars behind the jumper's vehicle. I saw him run in front of his vehicle and immediately jumped over the wall. I immediately contacted FHP to report the incident. I later called FHP for an update and was told that jumper had died and body was recovered. 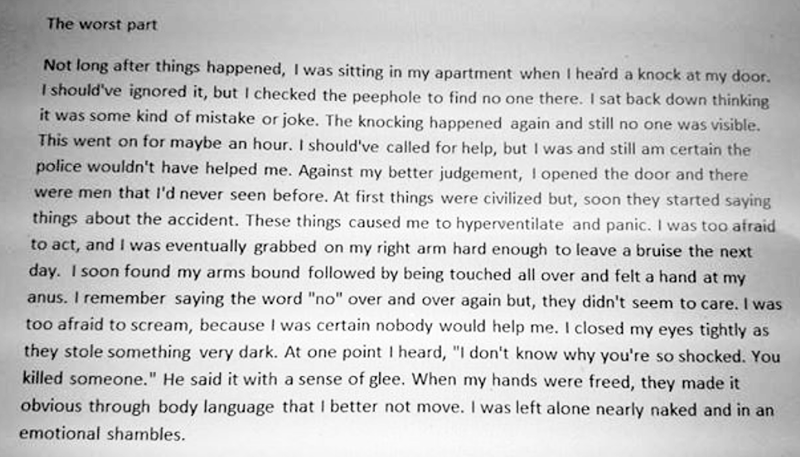 So sorry that the person experienced such personal pain that he made this decision. I think of him in prayer as well as his family/friends. obituary, with extensive photo gallery. 06.11.17, amber, palmetto, (06.10.17, 11:30pm), I was driving home from a concert in Clearwater with my family in the van. After we went through the Sunpass lanes (we were headed southbound)we got into the right line. The SUV or minivan in front of us was all over the road. I thought, man this person must be drunk. I told my husband I was going to hang back to be safe and slowed down. This person stayed directly in front of us and put their Right turn signal and swerved right up to the rail and slammed on their brakes. My husband called 911. We never saw if the person got out, or what happened. We had our children in the backseat and luckily they didn't see or understand anything that was happening! My husband and I were very shaken. The extremely ironic thing is that we were stuck in the traffic on the way to the concert from the incident that occurred earlier in the day. 06.10.17, video from bridge top. it shows the surrealness of the event. 06.11.17, DB, St. Pete, I was in the inside lane of the bridge heading northbound. I saw the burgundy vehicle parked at the top of the bridge with a blonde woman standing next to her vehicle. She was wearing a pink colored top and dark colored pants. I saw her put her leg over the rail and then she was gone. Due to the weather conditions at the time it was unsafe to pull over and I had my 5 year old in the car with me. So very sad. 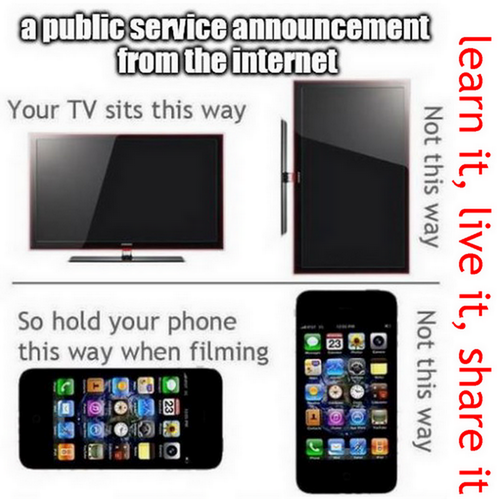 Valisa W., fb plug in, My son and I witnessed this also. We were heading SB thought it strange a semi stopped at top, saw her car Then noticed the lady sitting on the edge. Several other caring people stopped also. I prayed they could talk her down. So sad. I would never think or say the Cold/ mean comment I just read. Remember not all are as fortunate As some. I pray for her family and friends. It really broke my heart! 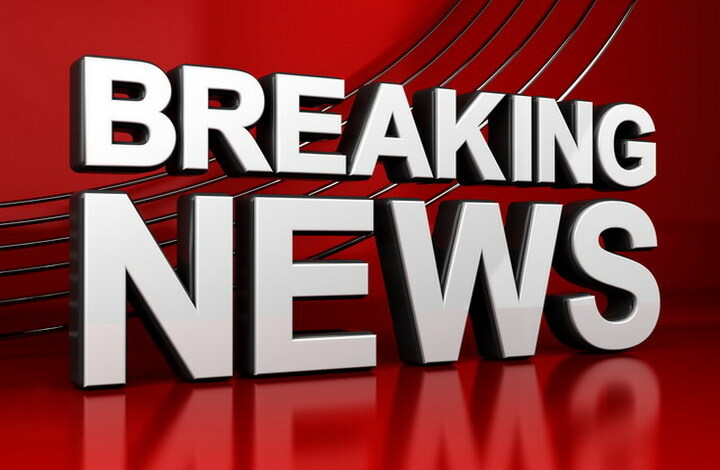 06.10.17, mysuncoast.com, Suicide reported on Sunshine Skyway bridge Saturday afternoon, ST. PETE, FL (WWSB) - Southbound lanes on the Sunshine Skyway bridge were temporarily closed Saturday after reports revealed an individual committed suicide off the bridge. Officers arrived on the scene around 2:36 p.m. It took them only seven minutes to arrive. The identity of the individual was not released. More information will be provided as it becomes available. The Skyway is also under a high wind advisory. If using the bridge, drive carefully. ST. PETERSBURG — A 55-year-old Auburndale woman died Saturday after jumping from the Sunshine Skyway bridge near St. Petersburg. The Hillsborough County Sheriff’s Office has identified the victim as Dorinda L. Harris of Old Berkley Road. Deputies reported she died at the scene. 06.15.17, I'm her husband. I went through this every day for almost a year since this started. She was just like everyone else and then one day she began to change. She came to me and told me something was wrong. We looked for answers. We went to every appointment. To be honest the mental health professionals are just professional guessers. They say try this lets try that. Just when we thought we had gotten some positive results they decided to change her medication again. Even against my wishes. They said give it time to work. She lost all the ground she had gained in less than a month. At some point last year something broke, malfunctioned or short circuited inside her head. A chemical imbalance a breakdown of some sort. I did the best I could in taking care of her and was hoping we would eventually find an answer. I did not matter how good she had it or how much her family loved her. Her mind would not let her understand that. A switch had been flipped and we were just unable to switch it back. This was no fault of hers. She had no control over it. I dont know how she managed to drive that far in the condition she was in. Maybe that part of her brain was still working correctly? I want all who reads this to know that she was a wonderful wife and mother. On the very day she died she made my breakfast as she had every day we were married, packed my lunch and kissed me goodbye as I went to work. At some point after that she began having a bad day. Her anxiety level skyrocketed and she decided she would find relief her way. I wish she would have called me or anyone for help but then again I have a thousand wishes. Like I wish the road ranger that talked to her on the bridge could have noticed something was wrong when she told him the payphone wasn't working. She had to have shown obvious signs of impairment but he told her it wasn't a pay phone and let her get in her car and drive off only to turn around. I wish just one of all the people who said they saw her before she jumped would have pulled over and intervened. I can tell you she would have responded. Instead everyone just drove by. Like the person who had their child in the car saw her and told the child that she was going to jump but kept driving and did nothing. Would have only taken a second. However plenty of people stopped and whipped out the cell phones to record after the fact. She was a wonderful wife my heart aches as I deal with this loss. My world is darker without her shining light. I love you honey. 06.21.17, V Ward, Dear James, I'm so sorry for your loss and your pain. I was heading South and wished I could of gotten to help your wife I would of tried in a heartbeat. Please believe that some people did stop to try to help I saw it. For those who decided to be truly ignorant and feel the need to record such a sad thing may find themselves on the other end of a terrible situation one day. I wrote the Tampa Bay Times to try to bring the bridge to the forefront for discussion but for some reason the DOT and the county/state Govt. chooses to turn a blind eye to the 300+ people who have jumped from the bridge. We need to go the extra mile with more training, more man power, barriers whatever it takes to save lives on the bridge. I hope you find the strength to pick up the peices, it sounds like it would be what your loving wife would of wanted. God bless you and your family! 06.23.17, Sam, Naples, I just wanted to reach out to James. My family, along with another driver, witnessed your wife seated on the ledge and tried to stop and offer help. Unfortunately, by the time we made it out of our vehicles we were seconds too late. I am so sorry for your loss. I just wanted you to know that there were people stopping to try to help her but we just were not quick enough. I know that this cannot ease your pain but hopefully you can find some comfort in knowing that not everyone just continued to drive past. We said a prayer for your wife at after the incident. Again, I am so sorry for your loss and will pray for you and your family. 06.10.17, Sam C., IONTBfb, Had one that survived on Wed. Female, recovered by private fishing boat. Incredible. 06.04.17, Bill E., Riverview, Fl., (female, hit water, died, body found), HCSO report of female jumper from Nortbound lanes. Boaters under bridge have recovered the body. Pinellas Co. EMS now has the body, in route to O'neills. 06.04.17, Jessica, Bradenton, 9am saw trooper and one sheriff along with the white suv with hazard lights. Did not see jumper. 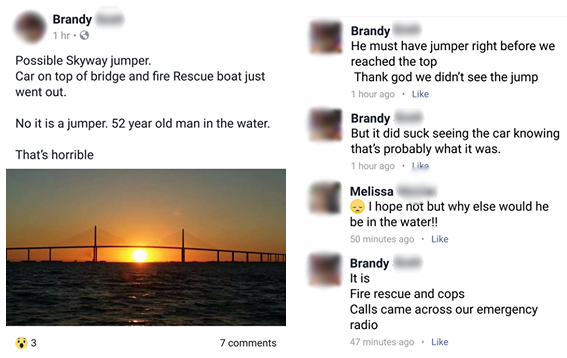 06.04.17, IONTBfb/iontb.com, Skyway Bridge: Reports of civilian boats working to retrieve subject that reportedly jumped from the bridge. Expect slowdowns and #MoveOver later: Update 9:24 a.m.: St Petersburg Fire Boat met up with civilian boat and crew determined that the woman is deceased. 05.23.17: article - Suicide and the dark side of the Sunshine Skyway Bridge. 05.23.17, wtsp.com, TAMPA BAY, F.L. -- With construction underway on safety nets under the Golden Gate Bridge intended to prevent suicides, 10News wanted to know if the Sunshine Skyway Bridge could also install safety measures to stop suicides. If you live in the Bay area, you've likely driven over the Sunshine Skyway Bridge. It's a crucial transportation connector but also a glistening icon. 10News reporter Liz Crawford looked at the dark side of the bridge. About a dozen people take their life every year by jumping off the bridge. Most will not die instantly and sometimes people even survive. In April, work began on a net under the Golden Gate Bridge in San Francisco to prevent suicides so 10News WTSP wanted to know if more could be done to prevent suicides off the Skyway. The safety of the traveling public on the state’s bridges is a top priority of the Florida Department of Transportation (FDOT). The department has looked at a fencing system on the Sunshine Skyway Bridge in the past, however, FDOT has not found a system that would work and also allow inspection of the bridge. It’s important to note the Golden Gate Bridge has a different deck structure than the Sunshine Skyway Bridge. The Golden Gate Bridge can be inspected by workers below the roadway surface, since the surface is supported by an open steel deck truss. The Sunshine Skyway Bridge is a closed segmental box, and relies on inspection trucks with arms that reach out and under the bridge for a complete inspection. If a fence were to be installed, it could potentially block access for bridge inspection. While researching the topic (on this website), 10News met Debbie Korell. 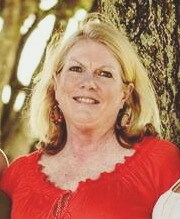 She became a widow seven years ago when her late husband, Todd jumped off the Sunshine Skyway Bridge ending his life. "I woke up in the middle of the night and he was gone," said Debbie. Debbie kept photos and scrapbooks of the happy times with Todd. "Todd was a wonderful person, happy, friendly, cheerful." Debbie says Todd never showed any signs of depression or suicide over the course of their 11-year marriage. "This surprised everyone. Todd was the last person that you would ever expect. We don't put the everyday face on mental illness." Now, Debbie hopes Todd's story can inspire others to seek help. Debbie said, "I wish I had asked Todd, are you in emotional pain? Is there something I can do to help you? Do you need to talk to someone?" 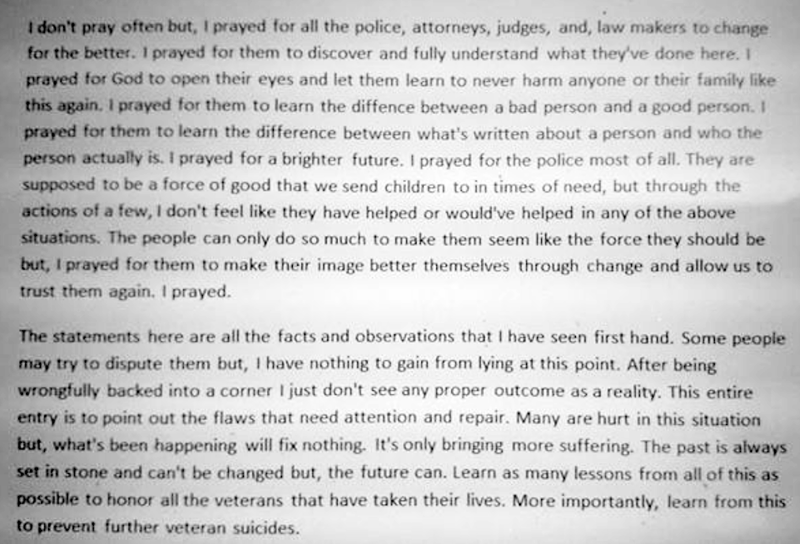 Debbie first talked publicly about Todd's suicide in the documentary, Skyway Down created and produced by Sean Michael Davis. "The film created itself through all the people that were willing to be a part of it," Sean said. Even for Sean, his reason for creating the film was personal. He witnessed a suicide off the Skyway about ten years ago. Feeling helpless, Sean decided to make a film in hopes of deterring others from making the same devastating decision. Sean said, "It's not something people want to discuss. That's why I made the film." Sean met dozens of people through his film and even learned the harsh reality about jumping off the Skyway. It's not quick and painless but rather slow and agonizing. 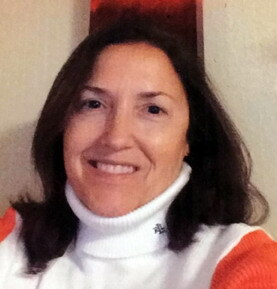 Debbie Korell learned that Todd did not die when he hit the water. "His spleen ruptured, his liver ruptured, one of his kidneys ruptured. He died from massive internal injuries in the water," Debbie told 10News. According to the Florida Highway Patrol, the Skyway is the number one bridge for suicide on the East Coast. In 2016, there were 12 suicides, 24 possible suicides, 6 saves, and 1 survivor. (those statistics) There have been 100 suicides in the last decade. The Crisis Center of Tampa Bay offers phone counseling around the clock. Program Manager, Mordecai Dixon told us when a suicide call comes through, everyone in the contact center knows it. "Each person who calls us has somebody in their life who cares about them," said Dixon. 05.22.17, Bill E., Riverview, Fl., (00:10am, male), HCS0 DISPATCH, Male on railing, southbound side, FHP on scene. No report of jump yet..following. later: In custody of Pinellas County. Being Baker Acted. 05.17.17, Maria B., Venice, FL., At around 11:45 PM 5/16/17 I observed an empty SUV at top of bridge on the northbound side. Police shining flashlight into vehicle. High wind advisory. Spooky, concerning. 04.15.17, Aaron S., St Pete., (11:22am, male), 275 South on the North side of the hump about 2/3rds the way up. As we drove up we noticed a car parked along the west side of the bridge, as we got closer we noticed a 60ish yr old bald and shirtless white male roughly 100 yards in front of his car looking over the edge. Right before passing the man he took one leg over the edge. We immediately called 911 and we're told FHP was on the way. 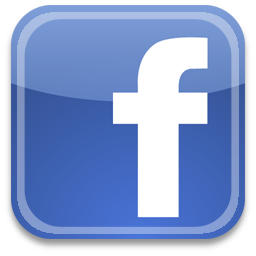 04.13.17, Jamie A., facebook, Thought maybe you could get more information on the outcome, but tonight as I was driving home from work (southbound) there was a woman at the top of the bridge - no car. She was bent over and doing something in her purse. I wanted to stop but by the time I saw her I would have to back up quite a ways (that's unsafe in the dark on the top). I called 911 and reported to the FHP. I passed her at 2:38am. Once I hung up with fhp I turned around at the palmetto exit, and decided to see if she was there and I would offer her a ride (just in case!) as I approached the top the fhp was arriving on the other side- couldn't tell if she was there or not. I made another u-turn at the north rest stop and headed back south. There were three troopers and they were going through the woman's purse on the trunk of the trooper. I didn't see her. 04.15.17, Jamie A., facebook, I contacted the FHP and they confirmed she is ok! 03.24.17, Florida Room, Pinellas, (8:14pm), There may be a jumper on the southbound Skyway RIGHT NOW! 03.24.17, Ladora G., facebook, (8:57pm), Northbound top of Skyway Bridge. White 2 door car stopped on very top R. Police car w lights on behind it. Hope it's not a jumper. may or may not be recovery activities of the 03.18.17 incident. 03.18.17, Amy M., IONTBfb, I drove up the skyway at the same time as first responders. There is a water rescue team there now. 03.18.17, Sherry, facebook, Hi skyway. I went to pick up my daughter from the airport and on the way over there were a lot of police and a fire truck, they were shining their lights in the water. When I came back over, headed to bradenton, there was a boat in the water and only one police car on bridge. Did someone jump? I can't find any news. I'm hoping and praying no but I wanted to see what was going on. Thank you. 03.19.17, Ashley M., IONTBfb, I drove over the bridge at about 10:15pm. We were heading south to Manatee. As we reached the bridge we could see tons of boats in the water with bright lights and emergency ones. When we reached the top there were firefighters looking over the edge. My heart broke the second I saw that. 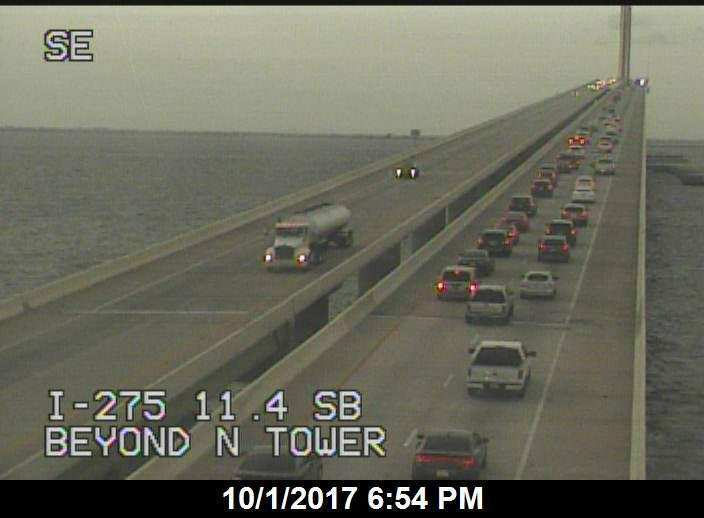 03.18.17, IONTBfb/iontb.com, Skyway Bridge: Emergency vehicles atop the top of southbound lanes of bridge after report received that male jumped within the past hour. 09.01.17, facebook, Katie L., Please know that the following is personal and traumatic, but I am so compelled to share God's faithfulness. Over 5 months ago, my brother died from suicide off the Sunshine Skyway Bridge. After weeks of searching, we cried out to God just hoping to recover his body so that we could give a proper goodbye and have some much needed closure. After 2 weeks, I lost hope and had to face the horrid fact that we would never get that perplexing peace we longed for. On Wednesday morning, my grandmother passed away not far from where Tom died. That afternoon, his body was recovered. If that isn't spiritually symbolic and significant, I don't know what is. I truly believe that God is the only one that could orchestrate this in that manner for where my family was and how it happened this past week. Praise God for answering our prayers. It may not be in the time frame that you expect, but He is faithful. I am completely bewildered. 03.08.17, Patsy, Terra Ceia, Police on top of skyway, lights flashing. Hope its only a traffic stop. From my condo on Terra Ceia Bay. 02.12.17, Bill E., Riverview, Fl., (10:18pm, female, died, body found), HCSO sending units to skyway. Reported body had been found by a boat that is trying to tie a rope to it. No response unit from Pinellas showing on their 911 site yet. later: HCSO Has the body. Was recovered by private boat. ECSR & USCG would not respond due to body being found already. Pinellas Co 911 showed no units dispatched. Hillsborough had SO1(chopper) & M11 & units on bridge. unofficially, the 300th jumper from the skyway. 01.25.17, Michelle, St.Pete, Fl., (12:00pm), I am on the St.Pete side of the bridge stuck in traffic. As I hit the top I see about 3 cop cars on each side of traffic on the bridge. They are looking over side into water. Possible jumper... I have screenshots of police activity on the bridge. 01.25.17, Ann, clearwater, (11:50am, male), South bound. Male on the barrier wall with the passenger side door open. Police, rescue on scene. Looked to be mid 30's, Brown hair, blue button down shirt. Appeared he was yelling at those on scene. 01.25.17, Lori, St Pete, FL., (12:00pm, male), As I was driving SB in the bridge, there was a young man standing on top of his car, surrounded by police and other emergency vehicles. Hope they were able to talk him down, seemed to be heading in that direction. 01.25.17, Sue S. G., facebook, I was driving by when this was happening, it was awful several people were trying to talk to him he was so upset and shouting, just feel awful. His poor family and those who were trying to help. 09.24.18, Carole F., facebook, Thanks so much for the kind words. Wayne was my cousin. Although I didn't know him well, we were, in fact, family. There are many factors that led to his decision to jump. I am grateful to be able to see these pictures and read the first hand accounts of his death. RIP WAYNE!!! 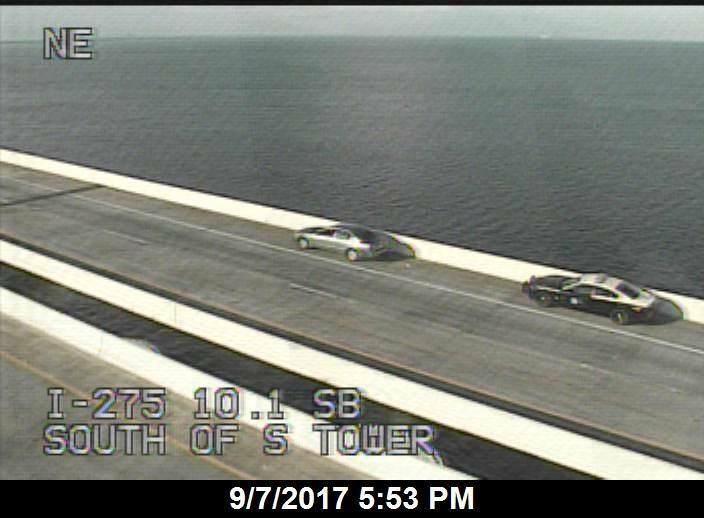 ---- Update 12:05PM: Skyway Bridge: Southbound lane blockage as subject jumped from the bridge. FWC had boat below and is working to get person on-board. •Kelli H. S., Just drove past it guy was standing on ledge screaming at cops. •April M., You must've been driving by as I was. I saw him yelling too, he grabbed onto the top of the car door and leaned back. He sounded distraught and possibly drunk. Pinellas - Law enforcement is investigating a suicide off of the Sunshine Skyway Bridge on Wednesday. According to Florida Highway Patrol Sgt. Steve Gaskins, a man jumped off of the Skyway at 12:05 p.m. He didn’t survive the fall and his body has been recovered. The Hillsborough County Sheriff’s Office will be continuing the investigation. According to the FHP website, troopers were dispatched at 10:58 a.m.
•Sue S. G., I happened to be on the bridge when this was happening. It was aweful to see this man so upset. I wish him peace but wish he would have found the strength and support he needed. RIP and to his family you are in my thoughts and prayers. Also thinking of the law enforcement officers and others who were trying to help him. •Karen W., I was there also. They stopped the traffic just as I got to the top of the bridge and I witnessed the whole thing. What a feeling of helplessness not being able to do something for him. Peace to him and his family. 01.18.17, Rebecca h., Bradenton, fl., (8:40am), I am not sure what happened but the South bound side had cops looking over bridge and as we went further towards North bound we seen paramedic's heading southbound. 01.18.17, Dave, Hillsborough County, I was driving over the Skyway this morning heading northbound when I saw all the emergency personnel at the top of the bridge in the south bound lanes. First jumper death of 2017. My condolences to the friends and family of the deceased. RIP. 01.18.17, IONTBfb/iontb.com, Sunshine Skyway: Emergency vehicles on the bridge. Recreational boat with person who jumped from the bridge. Southbound lanes. #MoveOver later: Body recovered. Deceased. 11.27.17, flarecord.com, Widow blames medical providers for husband's death. CLEARWATER - A widow, as representative of her deceased husband, is suing St. Petersburg medical providers, alleging wrongful death. Debra Prior filed a complaint Nov. 6 in Pinellas Circuit Court against Dr. Eli M. Kolp and St. Anthony's Hospital, alleging the medical providers failed to exercise standard medical care and skill. 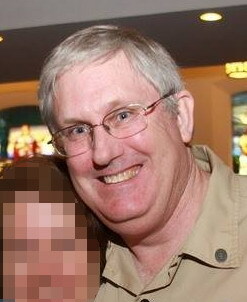 According to the complaint, on Jan. 15, David Prior was transported to the emergency department of St. Anthony's Hospital after an attempted suicide. The suit says he was not considered a danger to himself and was released. 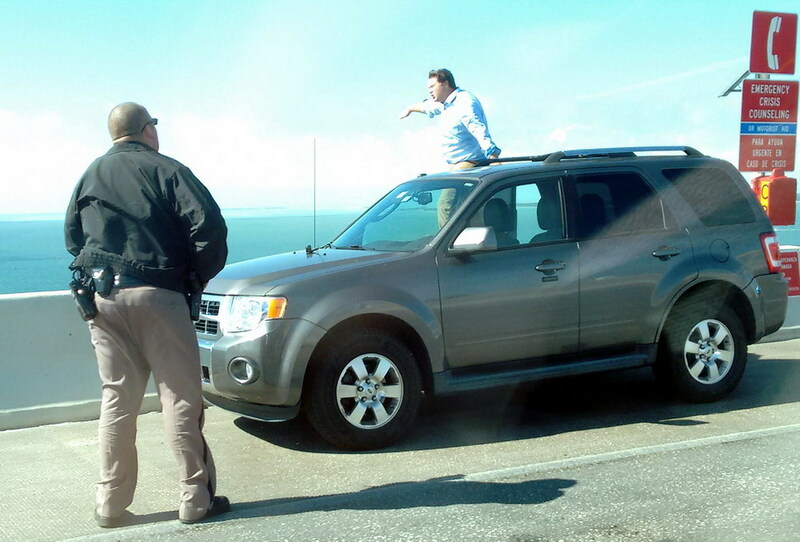 The lawsuit states Prior died Jan. 18 by jumping off the Sunshine Skyway Brige. The lawsuit states Debra Prior was caused to suffer hospitalization and/or funeral expenses, loss of support and services, loss of companionship and protection, mental pain and suffering, as a result of the negligent medical and psychiatric care and treatment of the decedent. The suit says the defendants inappropriately recommended discharge of David Prior, resulting in the wrongful death. 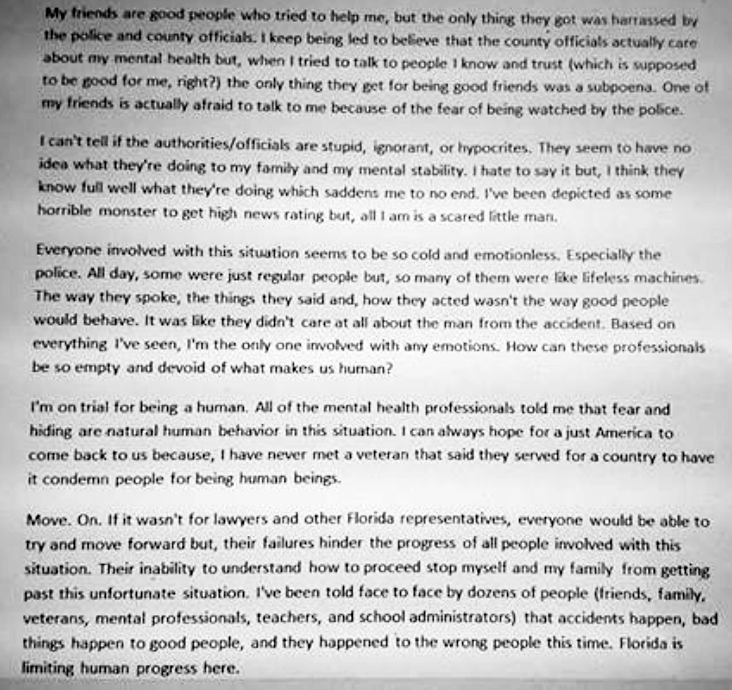 The plaintiff alleges the defendants failed to timely and appropriately appreciate the severity of David Prior's psychiatric condition and mental instability, and failed to timely and appropriately perform a suicide risk assessment. Debra Prior seeks trial by jury, damages in excess of $15,000, interest and court costs. She is represented by attorney Andy B. Steingold of Maney & Gordon PA in Tampa. 01.10.18, article discussing this incident and pending lawsuit. 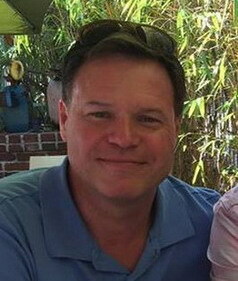 01.20.17, Mike A., Coral Gables, FL., Dave Leo Prior, was a financial advisor with Waddell & Reed, and he was an Army Veteran. A truly wonderful person and dear friend. He will be missed. 01.06.17, Rick H., St. Petersburg, Save, Eye on The Bay reports FHP prevented a jump attempt yesterday, Thursday. 01.06.17, f93, Bradenton, (01.05.17, 5:00pm, male), Saw this omw home. I saw this after it happened when I passed by. Looked like the had the guy on the ground on some sorta mat. I was wondering if the EMT had sedated him? The emt had gone past me right at the start of the hill heading towards bradenton. Kevin S., I was behind the undercover cop that stopped on the NB lane and jumped the barrier. The failed jumper was just kinda starring off the edge into the distance, pretty scary. He didn't notice the cop until the last minute and by then the cop had a hand on him. Claudia H., It was a young boy. ··· Looked like like teens early 20s.